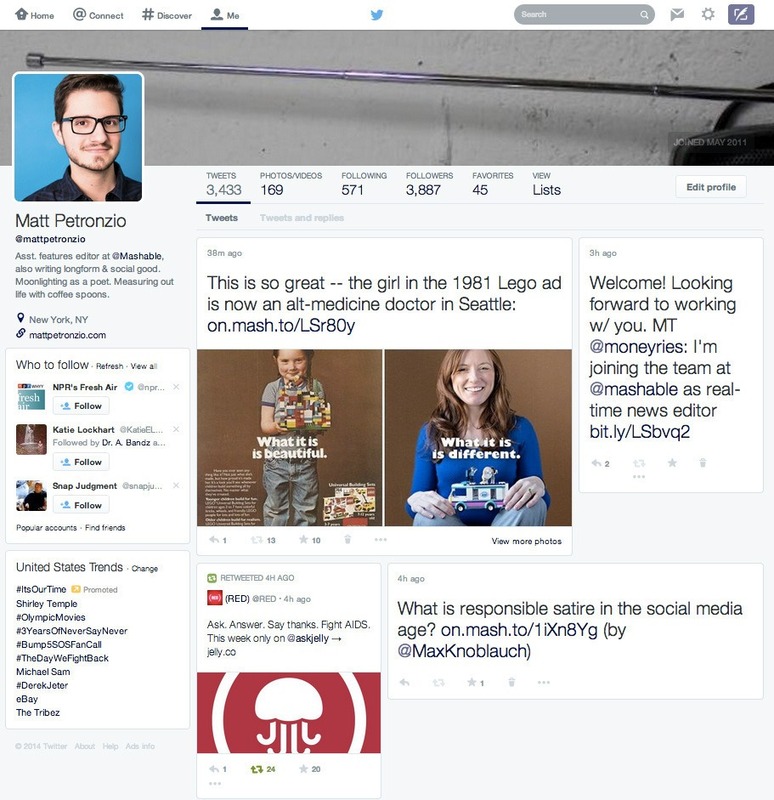 Just after Twitter’s latest minor profile updates, it is now testing a major redesign of the site. Matt Petronzio of Mashable noticed the changes on Tuesday, and the photograph of his “new profile” is listed below. The new profile is definitely more visual and may even remind you a bit of Facebook. The navigation of Twitter looks to be improved. What do you think about the changes?